Posted on 23, November 2016 by EuropaWire PR Editors | This entry was posted in Education, France, Science, Security & Safety, United Kingdom and tagged 2nd Congress of the European Division of the International Association of Identification, Dr Lisa Smith, forensic science research, Francisco Valente Gonçalves, IAI, INTREPID Forensics programme, University of Leicester. Bookmark the permalink. LEICESTER, 23-Nov-2016 — /EuropaWire/ — PhD students from the University of Leicester have presented their forensic science research at an international conference in France. Students from the INTREPID Forensics programme, based at the University of Leicester, presented their work at the 2nd Congress of the European Division of the International Association of Identification (IAI), which was held at the INTERPOL Headquarters in Lyon, France on 20-21 October 2016. The INTREPID Forensics programme provides ten funded PhD opportunities for early stage researchers to pursue innovative research degrees focusing on areas applicable to the forensic sciences. One of the students, Francisco Valente Gonçalves presented part of his PhD research which looks into the variations of forensic practices around the world. Working with forensic practitioners from 10 countries worldwide (UK, Portugal, Germany, Netherlands, Belgium, Brazil, U.S., China, Australia and New Zealand), Francisco visited more than 20 laboratories where he carried out interviews and experiments. He said: “Due to misconceptions promoted by TV shows such as CSI, lay-people, lawyers and judges tend to expect forensic evidence to be 100% reliable as well as the techniques used in different countries to be always equal. During the visits Francisco did this year, he noticed that technology and standard used in different countries are very different: “Whilst in some countries technology is very advanced, in others technology is still outdated. Also, methodologies that forensic examiners follow when conducting fingerprint comparisons differ significantly across different laboratories. 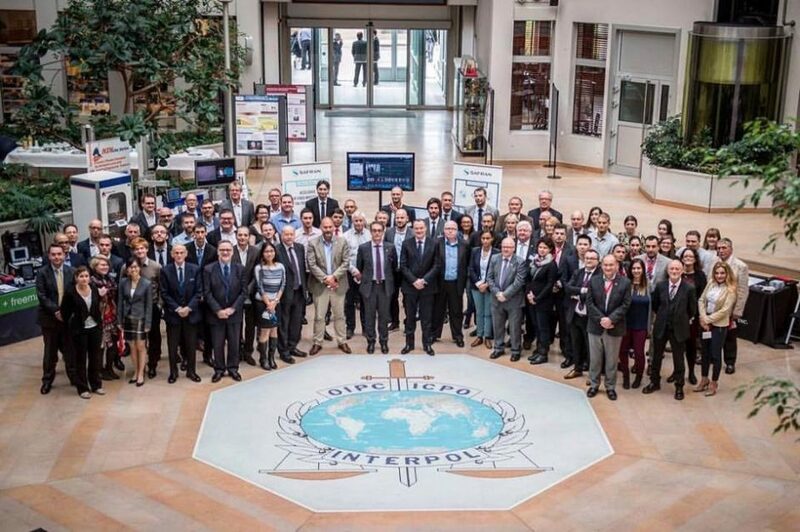 INTREPID Forensics (Interdisciplinary Training and Research Programme for Innovative Doctorates in Forensic Science) is a €2.9 million, multidisciplinary project funded by the People Programme (Marie Curie Actions) of the European Union’s Seventh Framework Programme (Grant 607930). The INTREPID Forensics programme provides ten funded PhD opportunities for early stage researchers to pursue innovative research degrees focusing on areas applicable to the forensic sciences. The research projects will all be based at the University of Leicester, and are rooted in a wide range of disciplines including genetics, criminology, chemistry, psychology, engineering, maths, physics and medicine. Each of the researchers will be supervised by experts in these fields during their research, and they will also complete a core forensic skills training programme designed and delivered by academics and industry partners. In addition, each researcher will complete a research secondment at various partner institutions throughout Europe. The United Kingdom, and the University of Leicester in particular, has a strong history of world class forensic research and innovation and this innovative doctoral programme aims to attract high quality early stage researchers to investigate forensic technologies with the potential to impact crime across Europe and globally.